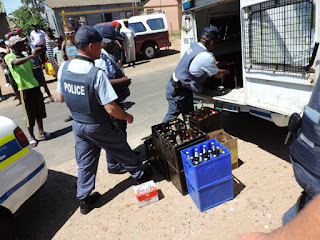 Liquor licence holders – The Mpumalanga Liquor Board recently partnered several government departments in assisting the police to inspect 35 liquor licence holders in a joint operation. 14 liquor traders had their businesses closed for trading outside of liquor trading hours and 21 were fined for transgressing the conditions of the liquor licences. Other offences related to the sale of liquor to minors and for liquor consumed off premises which were licensed for the consumption of liquor on a premises.